How Can I Neutralize Harmful EMFs? 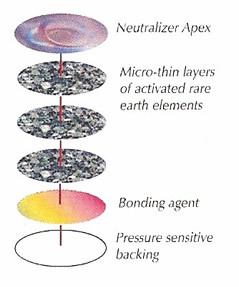 Use the Aulterra Neutralizer disk. It is made from a patented blend of paramagnetic elements and a rare mineral deposit found in only one known site in the world. The disk form for wireless devices is small and unobtrusive, about the size of a quarter, but thinner. Place it on or in your cell phone or wireless device once and you're done for life. Unless it is physically damaged, you will never need to purchase a replacement. Aulterra protects your DNA from damage by rendering the EMF wave harmless. To illustrate how it works, imagine taking a barbed wire and running it down your throat, into your stomach and through your intestines, shredding everything along the way. Aulterra alters that barbed wire into a smooth piece of floss that slides through without causing any damage. How Does Aulterra Compare to Other Products That Block or Absorb EMF? Any device that blocked 100% of the EMFs from a cell phone would make the phone useless. Absorbers become saturated and fail to function. 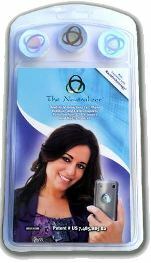 The Neutralizer works by neither blocking nor absorbing cell phone radiation. Instead, it changes the man-made frequencies into coherent, harmless frequencies – the way nature intended. What about the Radiation from Man-made Electricity? Start protecting yourself and your loved ones today and SAVE 15% for a limited-time. 7/30/2012 – How long does this last for? Where are the comments on if it works or not?